Formatting your MicroSD card is one of the biggest problems, especially if you have divided your SD card into 2-3 pieces like me. Although there are some articles in the form of formatting and formatting in the phone, formatting from the disk manager, and formatting with various programs, no method is 100% effective. Although I tried many programs, I was not successful. Only one of them worked and I wanted to share it with you. You are downloading and installing this program which is recommended by Sandisk and it is very successful. 2-We open the program from the zip forward and forward to open and open the program as shown in the picture. 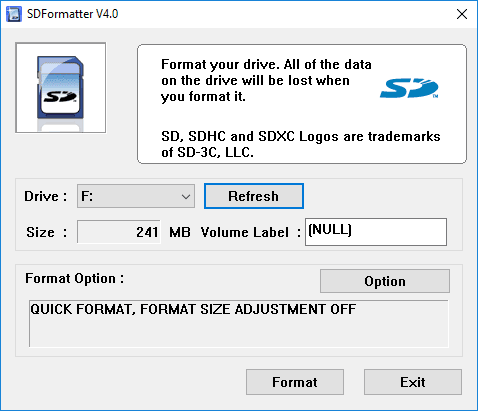 3-When we insert our MicroSD card, we see the driver name and select the driver name of MicroSD and start the process from the Format button. This program works on both microSD cards and on cards that look bad or low on capacity.